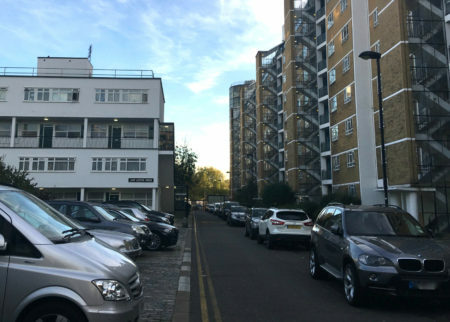 Churchill Labour Councillors are calling on the Council to compensate Churchill Gardens residents who have been paying for parking permits since October 2016 – and to take action on illegal parking on Churchill Gardens Road. On parking permits, residents have continued to pay full price for them since CityWest Homes took over parking enforcement on the estate in 2016. But residents haven’t been receiving a like-for-like service for their money – because CityWest Homes are unable to issue tickets and fines, just warning letters. By CityWest Homes’ own admission, this new system means that people have been able to take advantage and park on the estate for free. We think it’s wrong that residents have been expected to pay full price for their permits while watching other drivers park on Churchill Gardens for free – and see the number of available spaces being reduced as a result. What’s more, the lack of traffic marshals patrolling Churchill Gardens Road means that a growing number of cars have been parking on double yellow lines on the estate. This, combined with the increasing number of cars parking on the estate due to the permits issue, means that we and residents are very concerned about the congestion being caused – especially in light of emergency vehicle access. On one evening in early November, for example, we know that fire engines had difficulty getting access due to cars parked on double yellow lines on Churchill Gardens Road. We have called on the Council to ensure that traffic marshals are operating on Churchill Gardens Road in order to tackle the illegal parking occurring on that road. We have also asked the Cabinet Member for Housing for compensation for residents – whether monetary or in the form of equivalent free parking – as we don’t believe it’s fair or right that they have been expected to continue to pay full price for their parking permits without receiving the same service they used to. We will continue to push the Council on both issues on behalf of Churchill Gardens residents. Promoted by and on behalf of the Cities of London and Westminster Constituency Labour Party at 4G Shirland Mews, London, W9 3DY. Hosted by bpweb.net. Email: info@churchilllabour.co.uk.